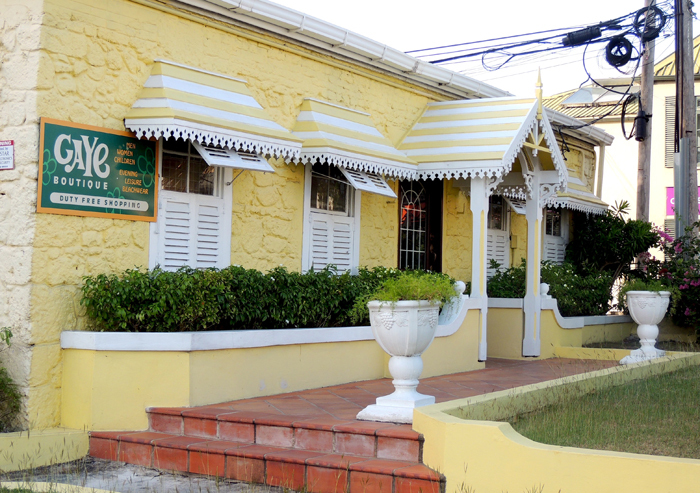 Gaye Boutique is located in Holetown, in the buttercup yellow building which is also home to Indigo restaurant. Gaye Boutique offers an exceptional array of resort wear and evening wear for men, women and children in every age group. Gaye Boutique is also known for their fabulous lines of imported designer beachwear, including top swimwear designers like Gottex, Ralph Lauren, Maryan Mehlhorn and Calvin Klein. Foot wear by Unisa of Spain and well known designer names like New man and John Smedley are just some of the lines available. Imported items are duty free to visitors so remember to bring your passport and Entry Card with you.